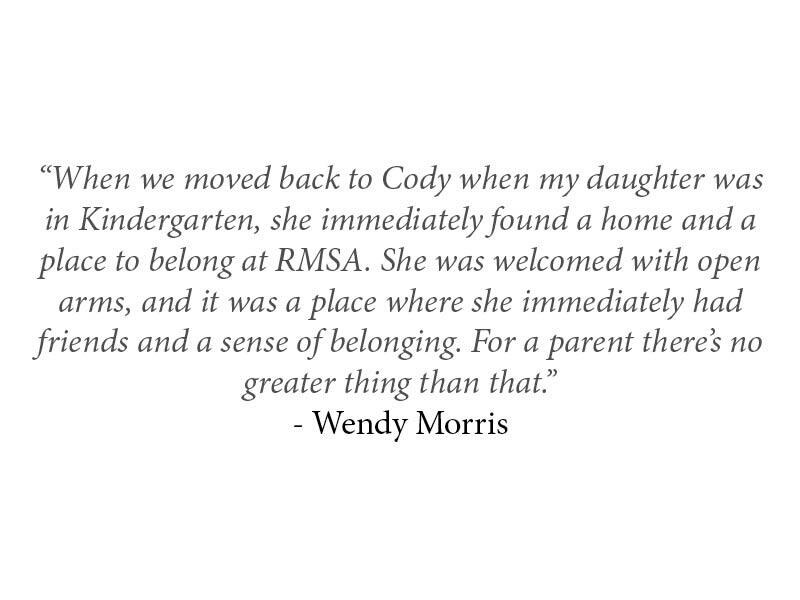 Rocky Mountain School of the Arts (RMSA) was established in 1997 by Elizabeth Fernandez and her mom Cynthia Kaelberer. After Elizabeth graduated from college, she moved back to Cody with the hope to fulfill the dream of both Cindi and Liz to open a school for the arts. 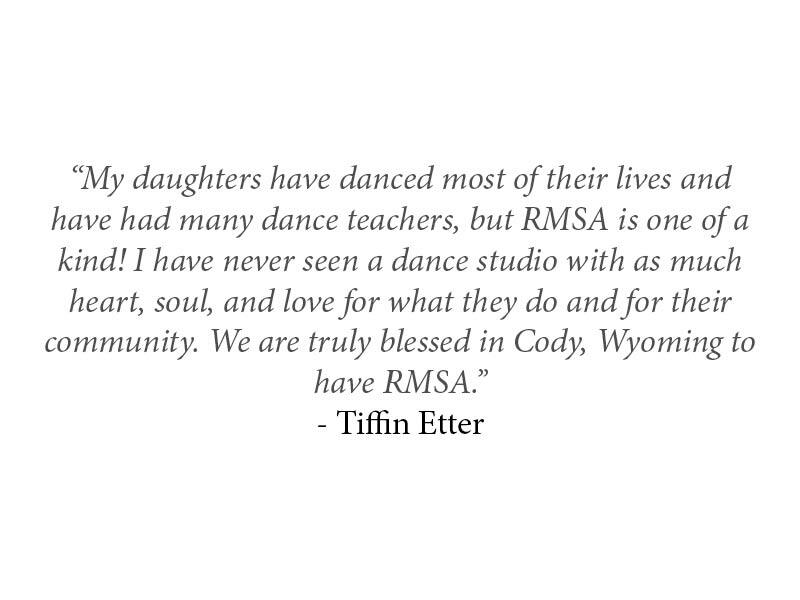 RMSA began with nineteen students in a building in downtown Cody with one dance studio room and one piano room. RMSA quickly outgrew their space, and in 2004, the current location was built. Throughout this time, Rocky Mountain Dance Theatre (RMDT) was created, which annually produces The Nutcracker and recently The Wild West Spectacular Show. 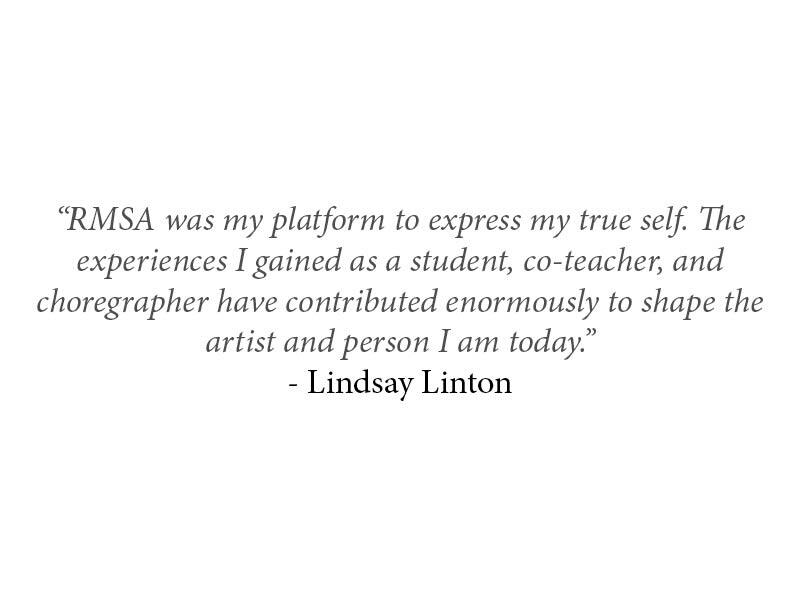 For over twenty years, RMSA has grown and changed with the times, but has always held true to the mission to create love and understand for the arts. Still fulfilling their dream, Cindi and Liz continue to teach piano and dance while adding exciting new programs to RMSA. At Rocky Mountain School of the Arts (RMSA), we have a passion for music and dance and through this we strive to provide a platform for young and old to experience the arts. We have had young artists who have gone into the professional world of performing and we feel those who aspire to have a future in the arts will have the tools to succeed. To build artists with a strong and diversified foundation through classical training and performing opportunities. Build character, self-esteem, work ethic, drive, and discipline in our students so they may contribute to our society in a positive and successful way. 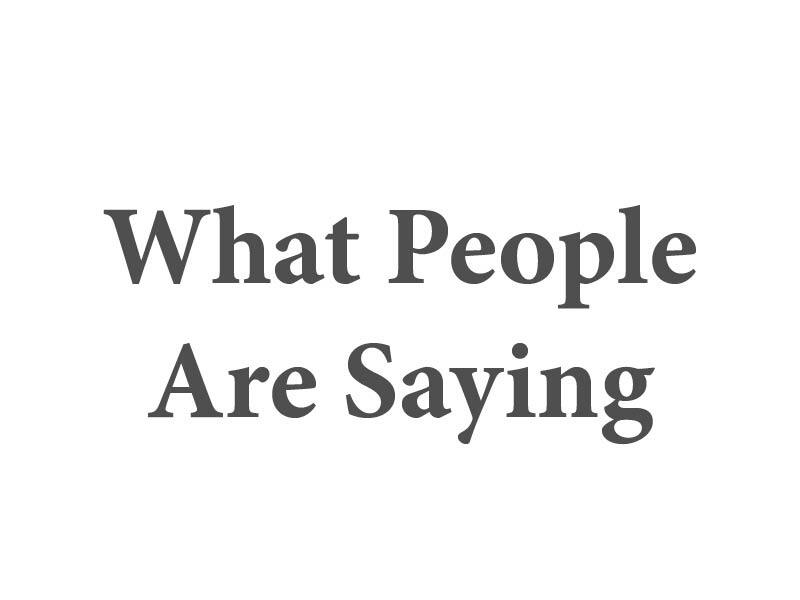 Build an educated audience for the arts through awareness and understanding.